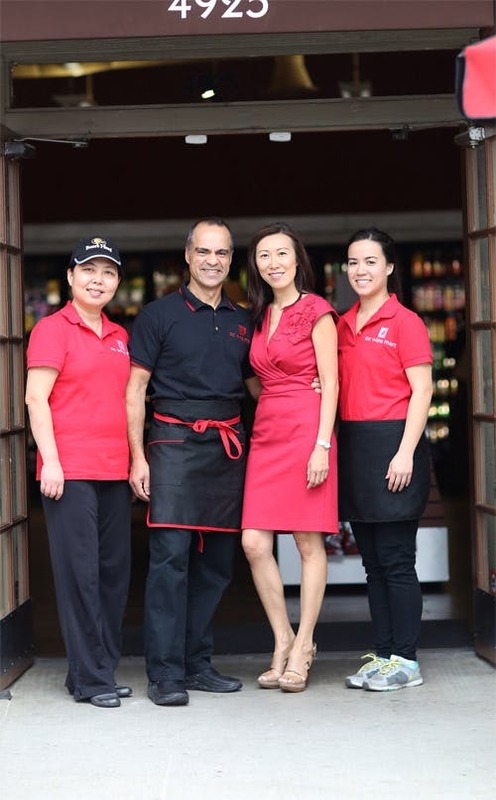 OC Wine Mart is a labor of love for Julie and her husband, Farid. Julie was named as OC Metro’s Top 20 Women to Watch for her work in transforming old liquor stores into upscale gourmet market, deli and tasting bar. Farid Moshir recently quit his medical career as an orthopedic surgical Physician Assistant to pursue his passions of wine, cooking, and farming. He’s at the helm of our deli and wine bar, ensuring only the highest quality ingredients make it into the food. Farid also leads the tasting panel for OC Wine Mart, who applies a strict criteria for the wines and craft beer in the shop. They must over deliver for the price. Being a family business, the stores operate under the watchful eye of Julie’s mother, best friend, and mom-in-law. We also have several qualified wine specialists and a certified sommelier to help you make your selection.